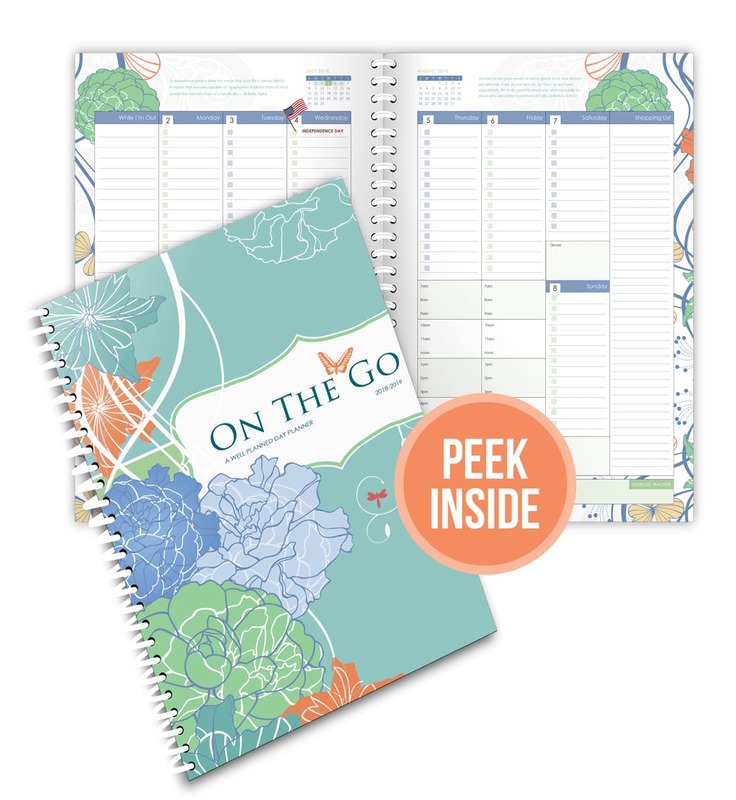 With Well Panned Gal's On the Go Planner, you'll find a beautifully designed day planner and home management system perfectly sized to fit in your purse. Take it with you everywhere you go and stay organized! Planners begin shipping April 2018. Each month you will discover encouragement and helpful tips on scheduling, organizing, faith, and more. Each month, find a selection from Jonathan Edward’s Resolutions, including areas to set your monthly personal goals and prayers. Each month has an area to plan and track a special project. Use this area for planning a yard sale, baby shower, kid’s events, and more. On the monthly pages there is an area to set goals for self care. On the weekly pages, there is an exercise tracker! This new section contains 2 areas. Go-To Meals allows you to create a quick-reference meal plan. Meal Ideals is a place to record family favorite, crock-pot, freezer, take-out, or quick meals. This area allows you to track a new habit up to 70 days. Plan the details of your vacation, including an itinerary. I’ve even included areas to create a summer bucket list!